A day after being waived by the Bills, cornerback Marcus Roberson landed with the Texans via waiver claim, Field Yates of ESPN.com reports (Twitter link, per ESPN.com’s Mike Rodak). Roberson represents another member of the Bills’ cornerback contingent to be added elsewhere, joining Stephon Gilmore and Nickell Robey-Coleman. The Ravens now have all the players to whom they extended an RFA or ERFA tender to signed. ERFA inside linebacker Lamar Louis signed his tender today, Jeff Zreibec of the Baltimore Sun tweets. After giving rookie UDFA Colin Buchanan a $10K signing bonus, the Saints waived him with a “left squad” designation, Nick Underhill of The Advocate reports (on Twitter). The Saints also guaranteed $10K of the Miami (Ohio) product’s rookie salary, per Underhill (on Twitter). The Colts signed free agent DT Josh Boyd and waived OLB Curt Maggitt with an injury settlement. expected to miss next week’s game, the team is clearly looking for some defensive depth. Schofield, 29, is the most experienced of the bunch. The 29-year-old has bounced around since joining the league as a fourth-round pick in 2010. 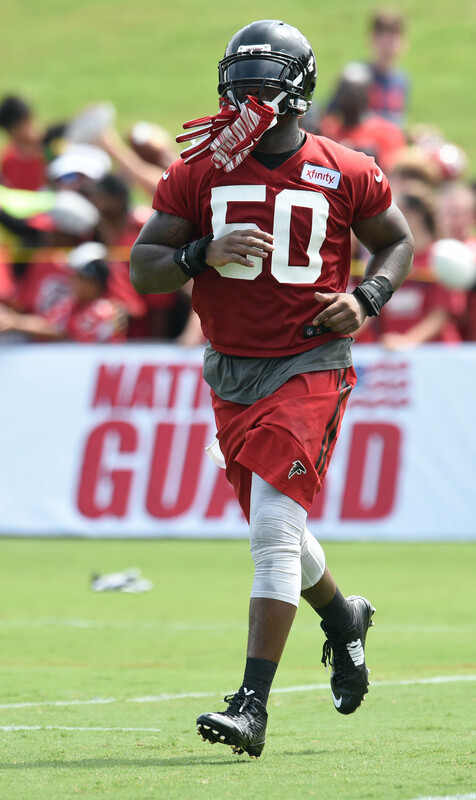 The defensive end has played 84 career games with the Cardinals, Seahawks, and Falcons, collecting 141 career tackles and 15.5 sacks. 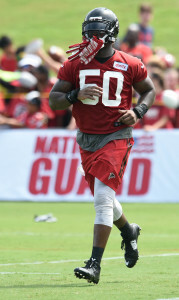 The veteran was released by Atlanta earlier this month, and he recently had an audition with the Lions. Mulumba and Boyd both spent the previous three seasons with the Packers. Mulumba, 26, made 22 appearances over that three-year span, compiling 35 tackles. Boyd, 27, appeared in 26 games, including four starts. Jackson has briefly spent time with the Vikings and Bears, although he’s yet to make his NFL debut. The 26-year-old had 18 tackles and 7.5 sacks during his tenure with the Portland Thunder of the Arena Football League. With the Seahawks now winless in their first two games of the regular season, Mike Florio of Pro Football Talk wonders if there will be any movement on the Kam Chancellor front this week, while NFL.com’s Michael Silver spoke to several of Chancellor’s teammates about the star safety’s holdout. The diagnosis for Packers defensive tackle Josh Boyd isn’t as bad as it first seemed, according to Ian Rapoport of NFL.com, who tweets that Boyd broke a small ankle bone, but isn’t expected to be sidelined for a long time. Eagles linebacker Kiko Alonso doesn’t believe he has an ACL injury, but he’ll have an MRI today to assess his left knee, a source tells Jason Cole of Bleacher Report (Twitter link). Alonso left yesterday’s game after aggravating the same knee he injured in 2014. After winning a power play against former GM Howie Roseman in January, Eagles head coach Chip Kelly took control of the team’s roster and made several bold, risky moves in the offseason. As Mike Sielski of the Philadelphia Inquirer writes, that means that Kelly has to shoulder the blame for the Eagles’ slow start.